I’ve been taking a short break before pedalling on through the Andes towards Cuzco. Spot the gringa. It’s been interesting to see the reaction Peruvians have when I introduce my mum to them; there’s a real sense of respect for ‘senior’ family members here. My tent’s been packed away for the week… In its place, I’ve been enjoying the likes of comfy beds and en suite bathrooms. 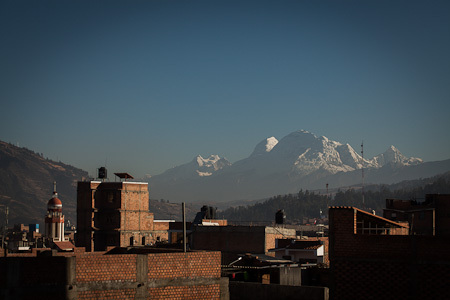 This is the terrace view from Olazo’s B&B, where we sipped tea before Huascarán (6768m), the highest peak in Peru, rising magnificently over the motley rooftops of Huaraz. 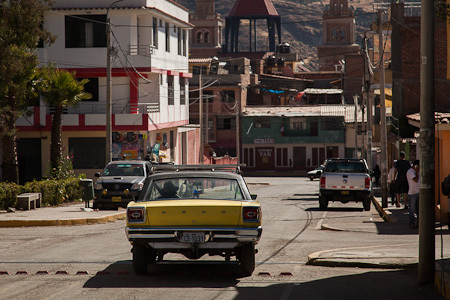 And down below, the mean streets of Huaraz. 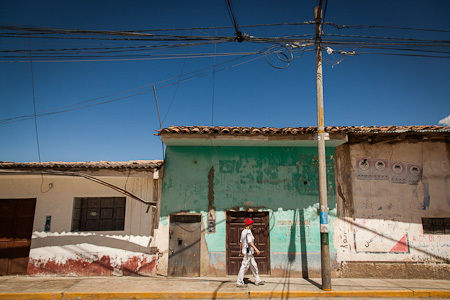 For its size, it’s a surprisingly mellow town that feels safe to wander at night. 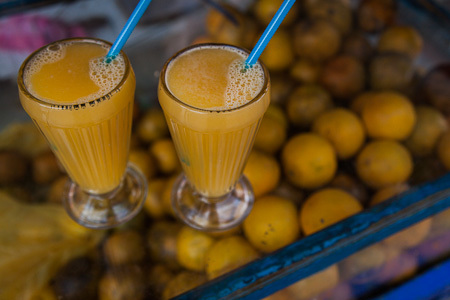 Freshly squeezed orange juices on the street corners – just 1 sol a glass (30c). 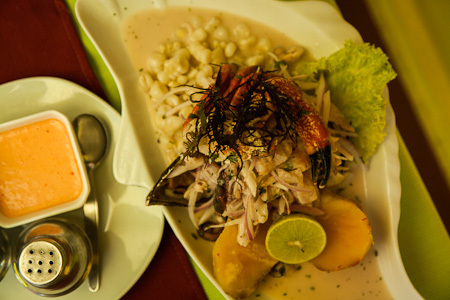 And cerviche too – a speciality in Peru, made from raw fish marinated in citrus juices and spiced with chilli peppers. We asked for a ‘medium’: this one had such a kick it almost had us in tears. 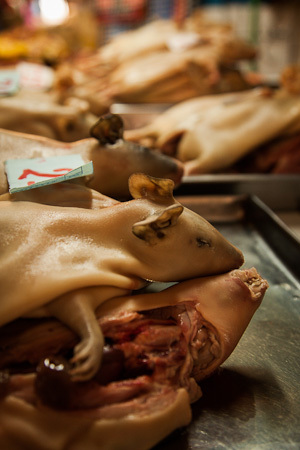 Mum passed on the cuy though – guinea pig – another Peruvian delicacy. 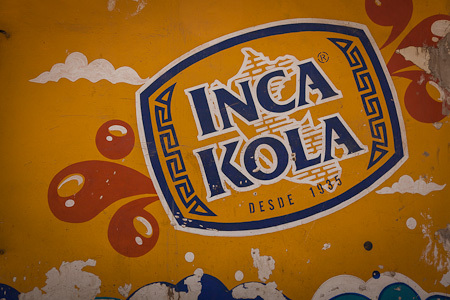 Of course, no visit would be complete without sampling the dubious delights of Inca Kola. It’s so popular here that Coca Cola ended up buying the company, having failed to ween Peruvians off their favourite soft drink. 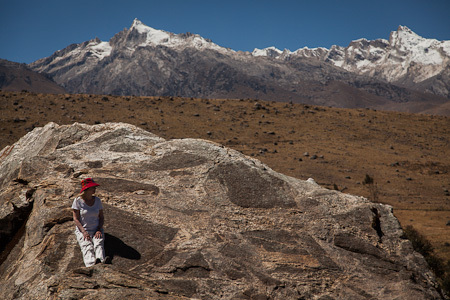 Huaraz lies at a lofty 3000m, so some gentle acclimatisation was in order before we were ready to head to higher climes. 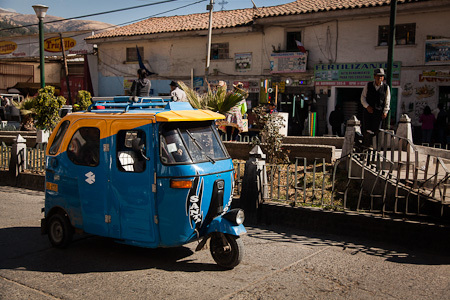 Local transport in Huaraz, reminiscent of the streets of Delhi, where mum has also visited me during my bicycle travels. 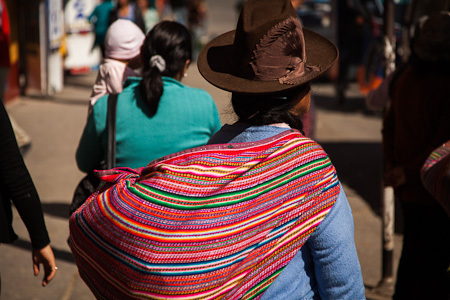 The traditional women’s uniform compromises of a colourful, bundled shawl (containing baby/vegetables/sundries), a bright, knee-length skirt and wooly leg warmers. Hats vary in height. Some perch on the top of the head, others tilt at precarious angles. 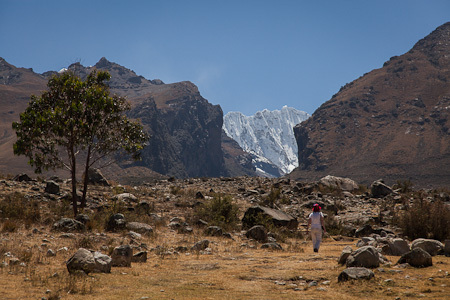 From Huaraz, we made our way to Caraz, 60km down the valley. 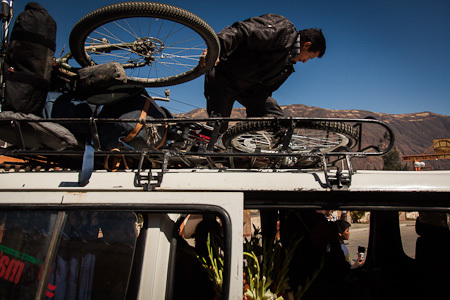 My bike joined two bleating sheep lashed to the the roof of a combi – a shared minibuse. We squashed in amongst 17 locals, and an enormous bunch of aromatic flowers. Mum chills out with her Kindle. … taking in yet more spectacular views. Always impressive, despite the cluttered skyline. 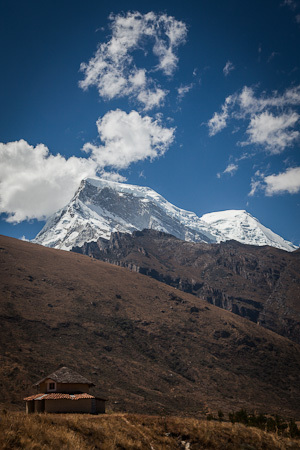 From Caraz, we embarked on a dusty, bumpy taxi ride up to Llanganuco Lodge, where peace and tranquility prevailed on the fringes of the Huascaran National Park. 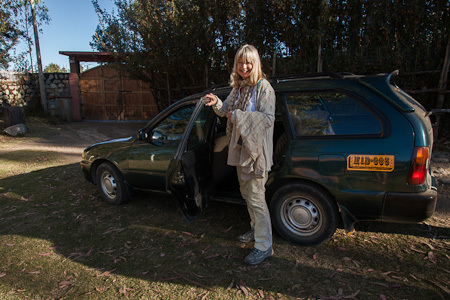 We liked it so much we stayed on an extra day – mum even got into the backpacker spirit with a night in the communal dorm, within the hilltop roundhouse. 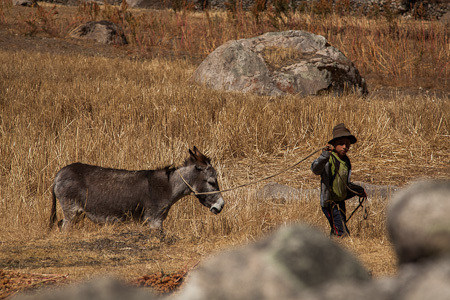 The Llanganuco Crew. Thanks guys! 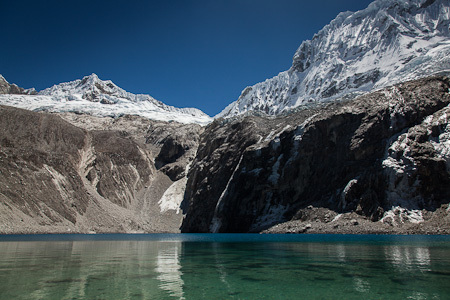 Then it was off to Llanganuco Lake, a turquoise body of water, set beside one of the dirt roads that hurdle the Cordillera Blanca. 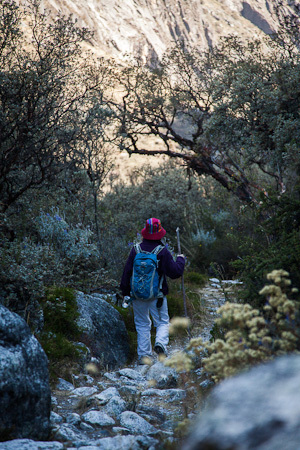 Mum in hiking mode, complete with Gandalf staff. The area had a definite Tolkien-esque feel to it – guarded as it was by jagged, claw-like mountains. 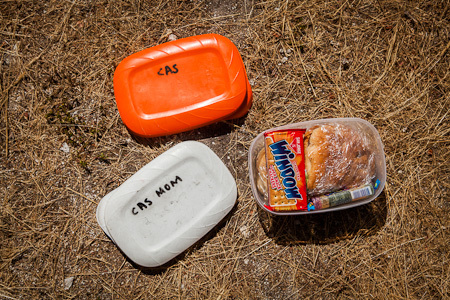 Our pack lunches. No mistaking who gets what. 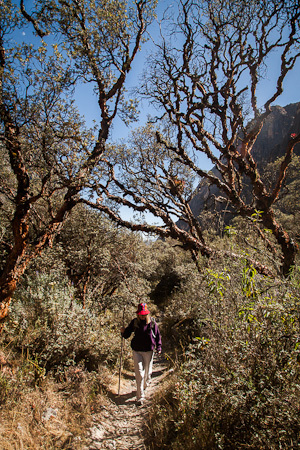 A stone path – pre-Incan in places – meandered gently down from Quinancocha Laguna, through a forest resplendent in bromeliads. 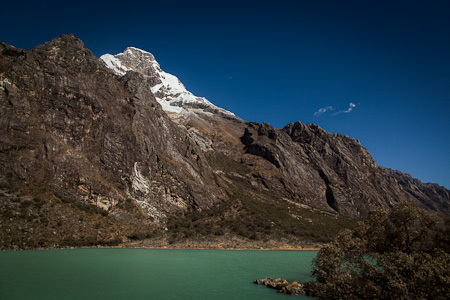 The lake itself may have been heaving with Sunday tourists from Huaraz – there are even boat rides available – but we had the trail completely to ourselves. 6am view from our room at the Llanganuco Lodge. Not a sound to be heard. And talking of views, this was a breakfast spot to remember. 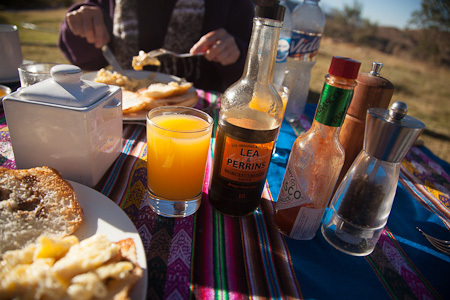 Touches at the Llanganuco Lodge included Lea and Perrins Worcester sauce, antique Sheffield steel cutlery, enormous fluffy towels and extravagant down duvets – a luxurious change from my one man tent tent and 3/4 Thermarest! 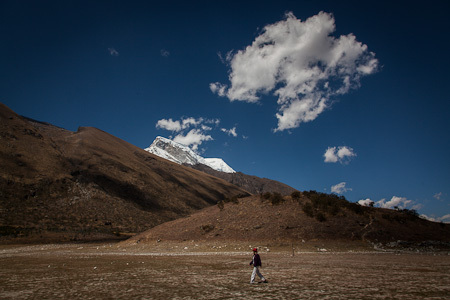 Mum was happy pottering around the lake, easing herself into the higher altitudes – by now, we were sleeping at around 3500m in elevation. 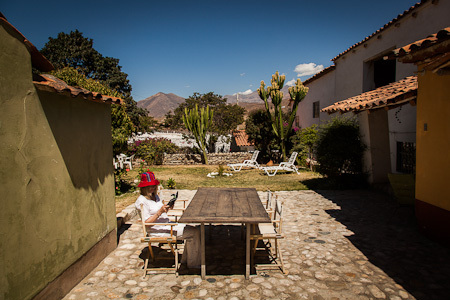 Luckily for me, the Llanganuco Lodge’s very British owner, Charlie – garbed in a Hackett jacket come dinner – turned out to be as keen a mountain biker as I am. Wherever he went, hounds Deano and Shackleton bounded along too. 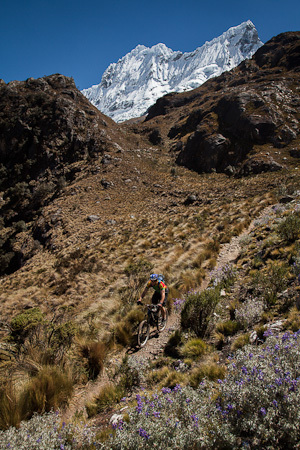 … to barrel back down, picking our way through some of the most scenic, challenging trails I’ve experienced in Latin America. The rest of the time, mum and I were happy to soak up the vistas, right from the garden… Huascarán vied for our constant attention. 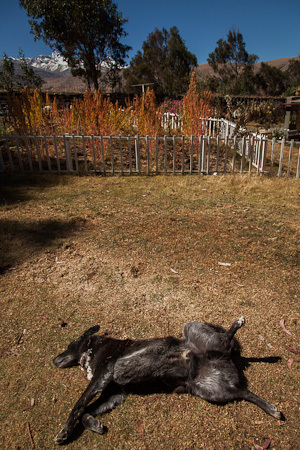 Next we headed to the Lazy Dog Inn, another high laltitude ecolodge, set at 3650m. This is Max – one of four resident hounds – living up to the inn’s name. 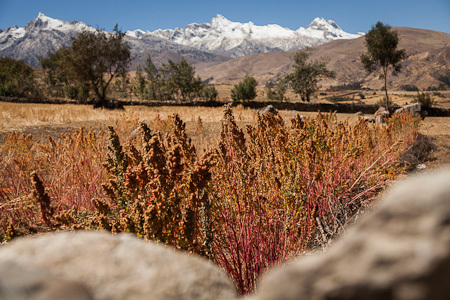 All around, the fields awere awash with the bright, burnt colours of ripening quinoa, ready for harvest. 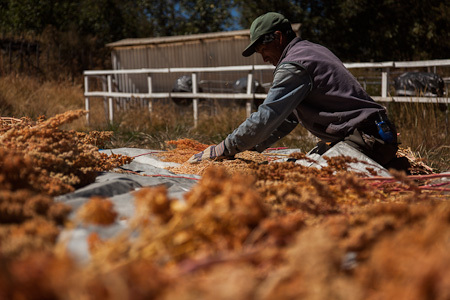 When this particular variety turns yellowy orange, it’s cut and laid out to dry. 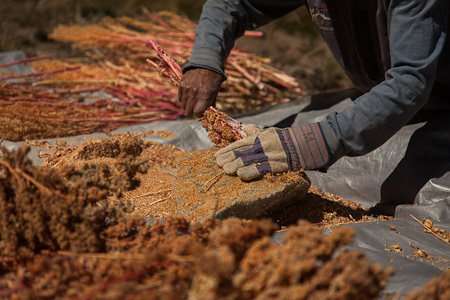 Then the seeds are separated from the stalks. These in turn are rubbed against a stone to remove the husks, then thrown up in the air on a windy day, so the seeds can drop to the ground. It’s still a long way from Whole Foods though – after all this, the seeds need to be washed thoroughly to remove their bitter taste, and dried once more. 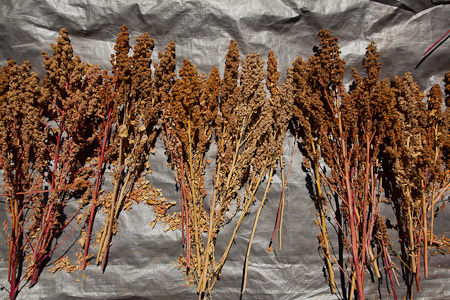 Originating from the Andes, Quinoa contains 8 essential amino acids, making it a complete protein. A true superfood! For mum’s last afternoon, we took a stroll into the hills, following an impressive dry stone wall. We skirted round one of the neighbour’s fields, where harvesting was in full swing- for all the family. Everyone waved and stopped for a chat. Mum was quizzed on everything from her age(!) and her children, to what we grow in England. 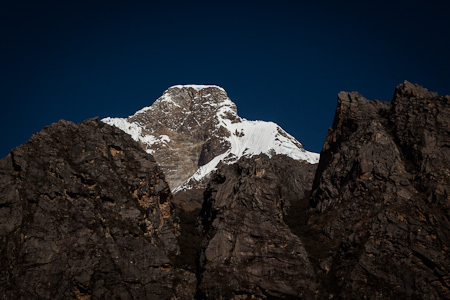 The bleached white wall of Occhapalca, 5888m, looming high and foreboding in the distance. 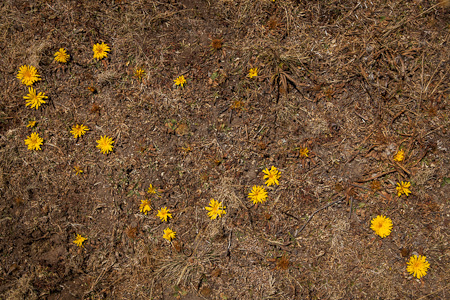 Chawe-Chawe – the daisy-like, storkless flowers that dot the parched grasslands above 3000m. And our room back at the Lazy Dog Inn. The lodges eco credentials are impressive. The structures are built from adobe, using clay, sand and straw. 95 per cent of solid waste is recycled – plastic/glass/metal etc, and the loos, for instance, are dry composting. Most of the vegetables are grown on site, and the lodge is involved with school nutrition, sports and recycling programs, as well as setting up a pre-school for local kids. 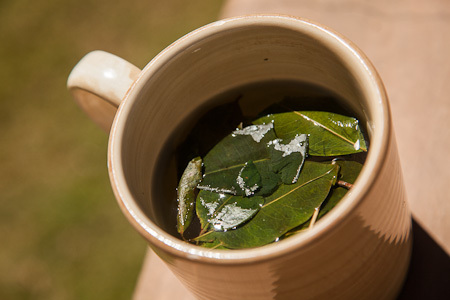 Sipping on coca leaf tea. 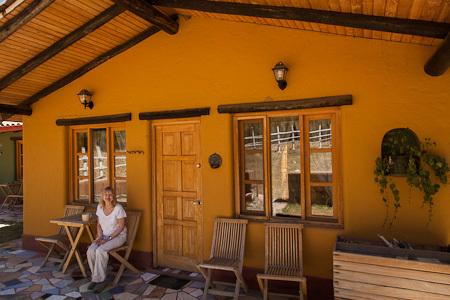 Llanganuco Lodge and the Lazy Dog Inn aren’t quite within the scope of my usual budget, but if you want to treat yourself, they’re both wonderful places to stay. 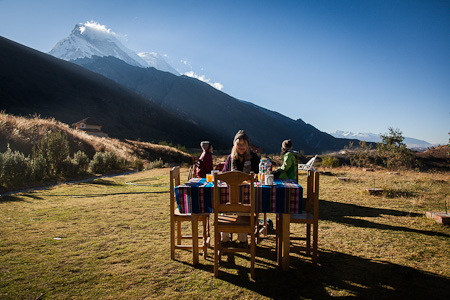 The Llanganuco Lodge offers dorms and camping too, and the food is highly recommended at both places. 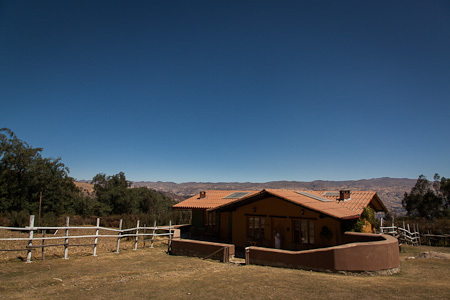 Perfectly geared towards mountain bikers (there is great guiding offered, and a full workshop), Olaza’s B&B makes a good base in Huaraz. 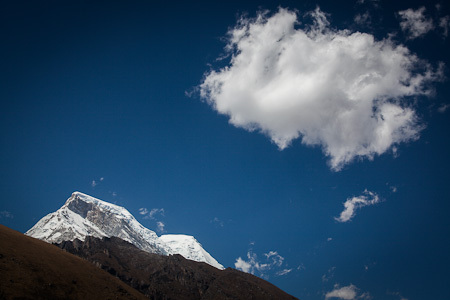 This entry was posted in Peru and tagged caraz, Huaraz, lazy dog inn, llanganuco lodge on August 8, 2012 by Cass Gilbert. Thanks for the message, Talbot. Actually, plenty of people thought we were a couple!! I still carry my Spot. I use it for emergencies (none as yet, thankfully) and to mark interesting points that I camp or ride, so I can check them out on Google Earth later. Haha! I remember the Spt Saga! This trip we used intermittent text messages to track her – not quite so good, i’d imagine! But, sounds and looks lke you both had an amazing time in such a fascinating place! Looking forward to hearing all about it when she gets home! Ceviche looks yummy. I like the photo of your mom at the lunch spot. Was Max a breed of wolfhound? I’m not sure about Max, but he liked to doze with his legs splayed out, like our old dog Tramp – who was a lurcher mix, with some wolfhound. Reminded me of the Tramp so much! Thanks Kate. Mum got right into it – with a bit of encouragement, I bet she’d have even tried the guinea pig! Cass, this one may be intended for fam, but I, for one, love the terrific images of your mum having a fine time in a region that I’m very fond of. Thanks, as always. Wonderful post!! Your mum is super cool – the coolest. So glad she got to visit you in such a lovely spot. I can’t believe that mountain’s gorgeousness! 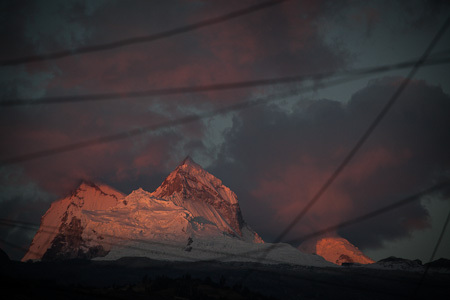 My family has lived in Huaraz for 6 and a half years. It is home to me now. Thank you so much for posting these beautiful photos. They give me feelings of nostalgia and remind me of the place I have learned to call home. Muchas gracias. Gorgeous photos! 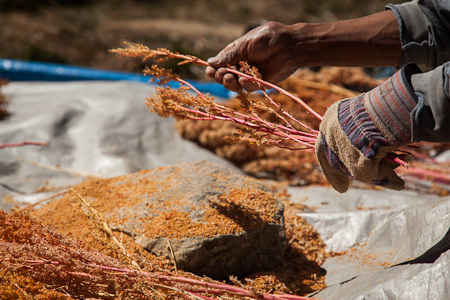 So interesting to see the quinoa harvesting process too. Gosh, gorgeous and super fun pics! Looks amazing! Your post is amazing! I’ve seen many of those places with my own eyes and your photos brought such big smiles to my face!!! GREAT. absolutely stunning! cant wait to visit!! Do you mind checking out my blog, its new and your opinion would mean the world to me ! Thanks and love the posts !! Congratulation for being Freshly Pressed! Stunning picture you got!!! and informative!!! Great!!! Very nice post. Your pics are enticing. High and dry, just how I like my climate. I bet the stars at night were amazing. Thanks for the awesome pics. Looks like a great holiday was had. Wonderful post! Such a great adventure. Thank you for sharing the beautiful photo’s also. SO EXCITED! Going to Peru in less than a month! YOur post has got me MORE excited! Nice post! Glad to visit. I read that you’ve been to Delhi, India. I hope that it was a plesant stay. What a wonderful trip with your mom. I love the way you told the story through your pictures. I like your blog and I’ve nominated you for the Very Inspiring Blogger Award. Great pics! What type of camera/lens are you using? My family has been living in Lima for about three years now and I had the chance to live there and go to high school there for two of those years. Thank you for posting these photos and narrating your trip because Peru really does hold a special spot in my heart and I love learning more about it. 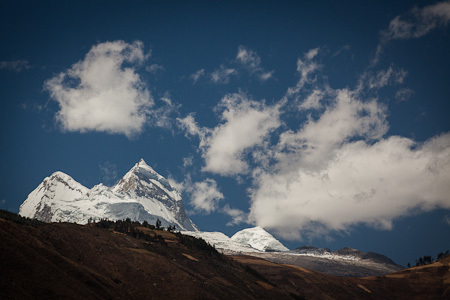 I haven’t been to Huaraz yet but because of your post, I might make the effort to go in December! I just mentioned my trip to Iquitos in my last post on Eggs With Ketchup and I’d love for you to come check it out! Also, I lived in Delhi for two years so I have gotten the chance to ride rickshaws/tuktuks in both countries! Wow, what beautiful photos! It’s giving me major wanderlust right now. It looks like you had an incredible trip. 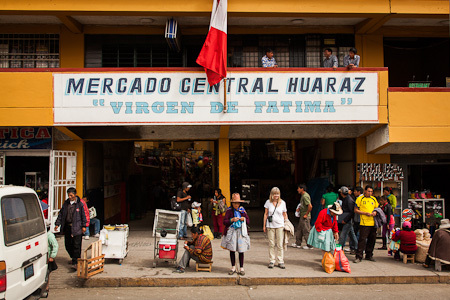 Here is a blog on Peru. OK, how difficult was the biking? I keep wanting to get a tadpole trike, and try it. But, my back injury never lets up. And reason keeps telling me I would be crazy. Even if I did have a gas powered engine to help. 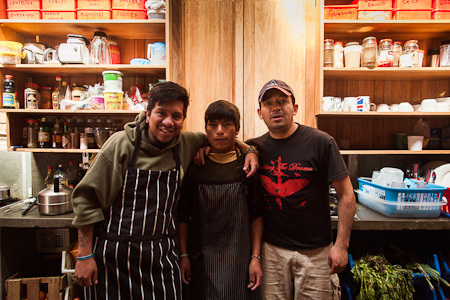 Spectacular post, probably one of the best I’ve ever read/seen about Peru around here! Im about to head to Peru for work so searching around. 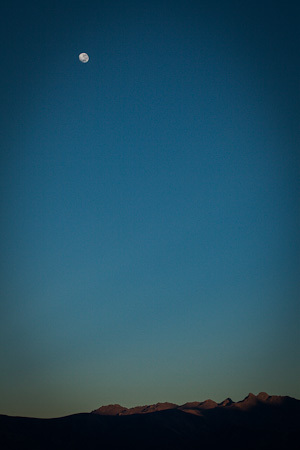 your photos are great and have put a few activities/destinations on my list. This is such a beautiful post. The photos are just… beyond words. It really makes me miss Peru (actually reminds me a lot more of Bolivia than the parts of Peru I was in). I especially love the photo of Laguna 69. And how wonderful that your mom could meet up with you too! Keep sharing the beautiful little details of your journey. I can’t wait for more! Cass! 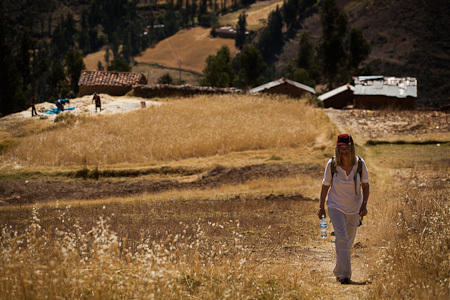 It was a pleasure meeting you up in Huaraz at the Llanganuco Lodge! 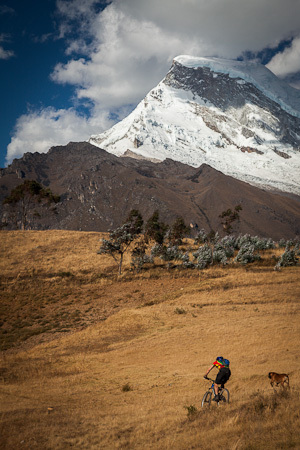 I hope you had a sweet ride with Charlie through the mountains and keep moving on towards Cusco with the best of luck! I wish you leave Peru with awesome memories! Thanks for the message guys, great to meet you too. Santa Cruz by bike was… interesting!! A great experience, but probably one best done on two feet, rather than two wheels! We’ll be watching your new pics! Keep having fun! mmmmmmmmmmmmmmmmmmmmmmm ceviche!!!!!!!!!! love it! there’s a peruvian resto near my house that makes a damn good ceviche though i’m sure it doesn’t compare to the real thing. wow.